I recently wrote an article for Eretz, a bi-monthly magazine published in Israel, which has now appeared in English after first being published in Hebrew translation last November. The magazine focuses on "the heritage, geography history and culture of the Land of Israel and the Jewish People". 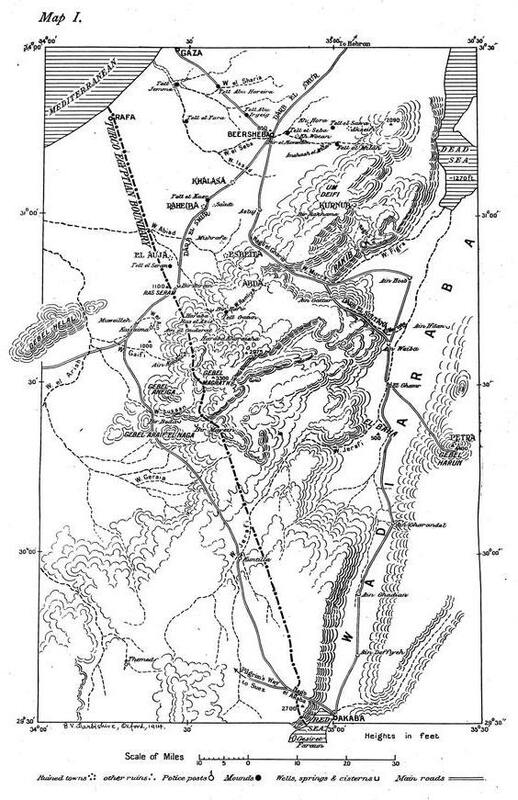 The article looks at the surveys of the Negev and Sinai deserts carried out by and on behalf of the Palestine Exploration Society (P.E.F.) both for peaceful and military purposes and naturally features Stewart Newcombe, T.E. Lawrence and C.L. Woolley. As Newcombe was firmly in the Arab camp and a strong advocate for a bi-nation state in Palestine, circa 1922-1948, I was not sure if his anti-Zionist stance would sit well with the readers of Eretz. He held strong views on what he considered were acceptable levels of Jewish immigration to Mandatory Palestine in the years between the World Wars, based on his long study of the region, its people, infrastructure and resources. He tried in his own way to come up with proposals that were fair to both sides, as they stood at that time, but as he tended to side with anti-Zionist European Jews his arguments are often seen as biased and at variance with the parallel Zionist movement as well as his own government. The article highlights the role played by the P.E.F. in charting the history and culture of a thriving Palestinian society within Ottoman Greater Syria. In mapping the historical geography of the Holy Land, and in meticulously chronicling the process, the P.E.F. sought to recover a landscape that was already familiar to the Christian imagination. By retrieving the original map of the Bible from place-names of a predominiantly Arab and Muslim country, the P.E.F. documented an urban and rural geography that would be largely transformed following the future development and colonisation by European Jews, a group which by then had not fully emerged as a likely candidate for the 'redemption' of the land after its neglect by an Ottoman government in decline. The article also discusses Newcombe's secret military surveys, largely in the Negev region, carried out on behalf of the War Office under the guise of a scientific survey for the P.E.F. prior to the First World War. His post-war joint surveys with the French for the Boundary Commission, delineating the borders of the British Mandate of Palestine and the French Mandate for Syria, are still relevant today in Israel's relations with Lebanon, Syria, Jordan and Egypt. This intimate involvement with the country would naturally contribute to his strongly-held views on its future, leading to his association with organisations like the Palestine Information Centre in London where he held the post of Honorary Secretary. Most Israelis today - at least the "reading" public - accept that the Zionist narrative runs parallel to an Arab narrative and that both have equal merit. There is definitely a growing interest in the Palestine narrative and an attempt to get a more balanced picture of the Mandate and Pre-Mandate years - including an interesting re-evaluation of the merits of the Mandate itself and in subjects represented by figures like Newcombe, the British Empire and the P.E.F. Newcombe believed that the Arabs would not vanish like the mist before the sun of Zion and therefore thought that it was imperative that they had fair representation in the contest for the hearts and minds of those in lofty power who would ultimately bring about the fulfillment of the Balfour Declaration, with all its stipulations - important provisos which supported his firm belief that only by respecting native interests could you achieve a lasting consensus. He worked tirelessly towards that aim after consulting the opinions of his many Jewish and Moslem friends before reaching his proposals that he hoped would satisfy both Moslems and Jews as well as best serving the interests of the British Empire. Whatever his lasting impact on mapping the region or subsequently in his life-long interest and involvement in Islamic affairs, Newcombe refused to be satisfied and once exclaimed, 'I wish I could have done more'. A legacy to his prodigious efforts can be found in the maps, papers and records held in government files or in libraries alongside those of his friend T.E. Lawrence, with whom he will be forever connected. 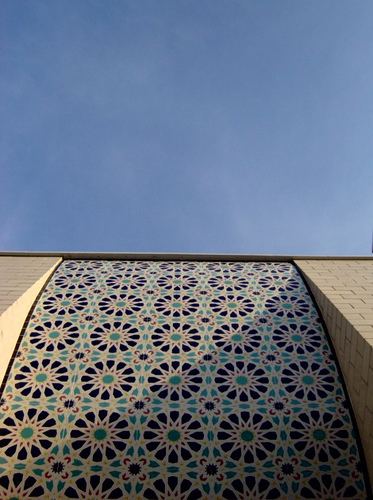 But perhaps it the invaluable assistance he gave in helping to establish the East London Mosque, the first purpose built mosque in London, that Newcombe's legacy to his Muslim friends is best illustrated.